MEXICO '88 ............... This young woman knotted wrist bands for sale to tourists. 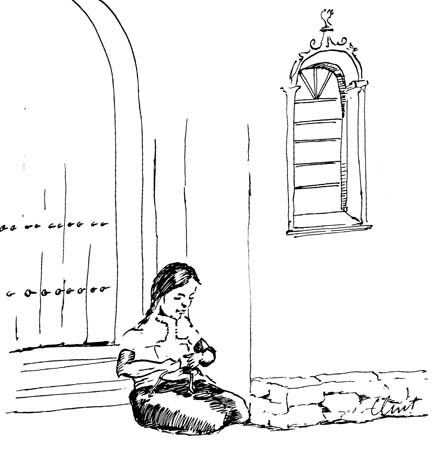 She seemed serene sitting on the streetside.